This week The Horror Duo take on a pair of films who's titular character is the most important organ of the human body. No, no, ya sick-Os! It's the Brain! 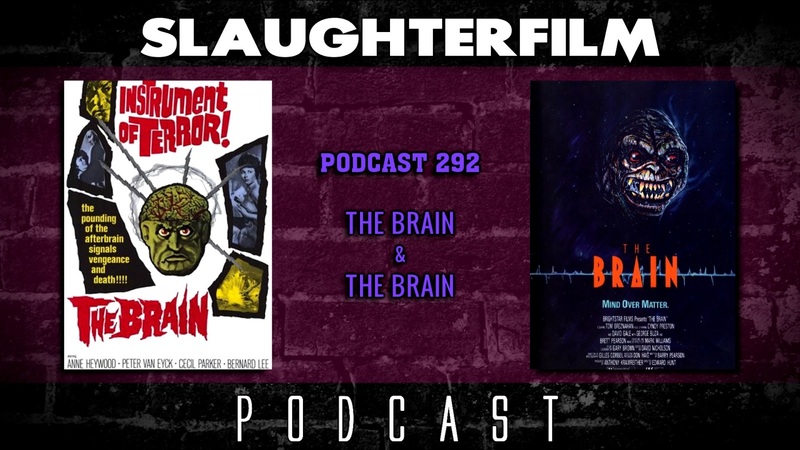 Forest discusses the 1962 film The Brain and Cory rants about how the media wants to brainwash you while reviewing the 1988 The Brain. Forest talks about joining the ranks of the Film Society of Northwest Pennsylvania by working the projection booth for Film Grain, Cory supposes what it would be like to work as a flight attendant for Area 51, and they both discuss is and what should have been regarding Star Wars: The Last Jedi. All this and make sure to turn out for a screening of Hell Comes to Frogtown at the Erie Movie House February 16th. For more Slaughter Film news and reviews, as well as show notes and special events, make sure to visit our website; SlaughterFilm.com.